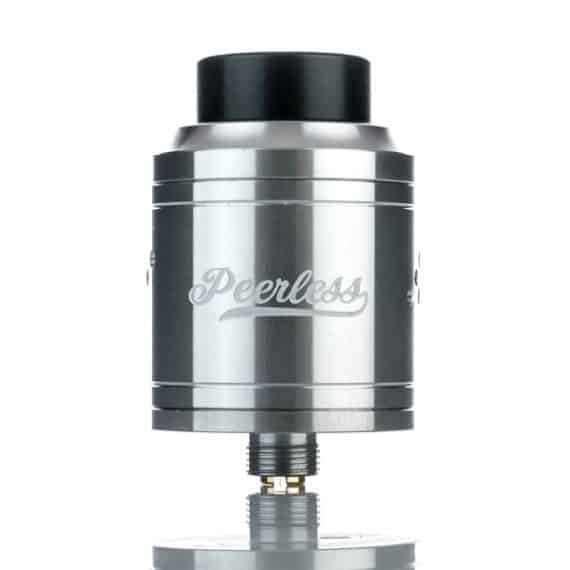 100% Authentic Geekvape Peerless RDA Know why they call this the peerless? 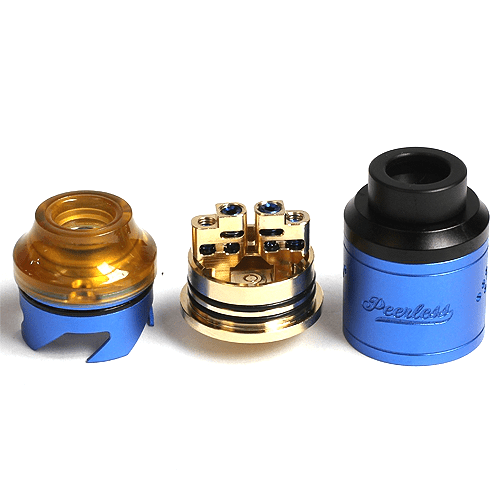 Because when it comes to this many options underneath a top cap, this product has no peers. 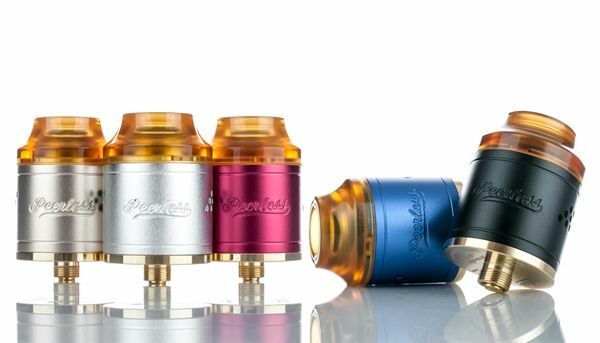 24k Gold plated 24mm deck and multiple airflow and coil configuration options. 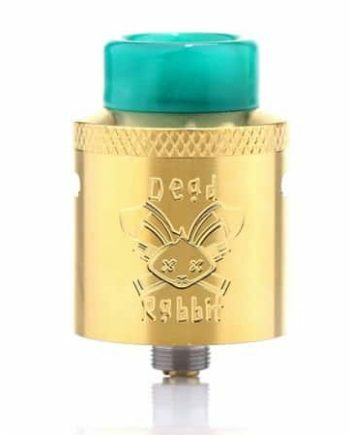 Let’s start with the 24k gold plated deck, sporting a monstrously deep juice well and a 4 post design which has its own unique 8 lead slots to make small and large builds all easy to pull off, whether it’s single or dual. 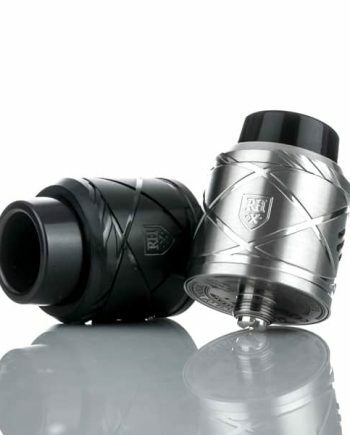 It’s also comes with a BF pin in the package, as if it wasn’t giving you enough variety as is! 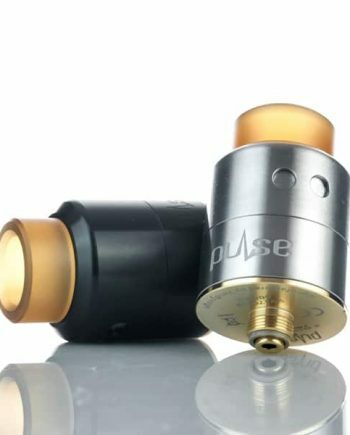 The top cap has 9 air holes on each side with fully adjustable airflow even down to single coil airflow! On top it has a stunning acrylic wide bore coloured drip tip as well as a spare delrin option!